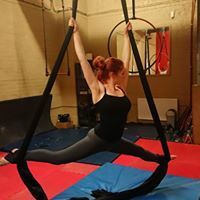 This is a 1 hour session to try aerial hoop, silks and trapeze. You will learn some of the basic moves and tricks from the beginners course as well as learning a warm up routine. Full payment is required upon booking to secure your place. Places are limited and will fill up fast. You must wear leggings and a long sleeved top. Baggy closes will not help you. If you sign up to our next beginners course on the night of the taster you will get your £5 taster price deducted from the beginners course price. Please bring a drink and in the winter months a hoodie and/or a tracksuit is advisable to warm up. To book please phone us on 01482 503020. You need to provide your full name, email address and mobile telephone number when booking. Health and safety forms will be sent to you via email upon booking. These forms are essential and must be completed before attending here for the first time. 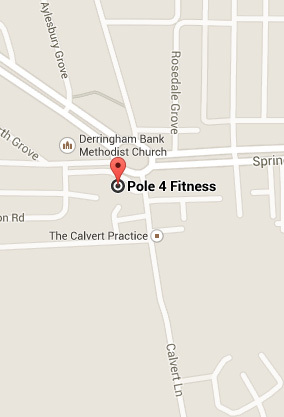 © 2019 Pole 4 Fitness. All Rights Reserved.